After several vinicultural experiences, I decided to create my estate in 2008: 10 years on and I have never looked back on the adventure that is Domaine de La Ganse! I decided to create Domaine de La Ganse where I spent my childhood, on the same land my ancestors worked, in the heart of the Vacqueyras appellation, in the south of the Rhone valley. This AOC is one of the « crus » of the Cotes du Rhone just like its illustrious neighbors Châteauneuf-du-Pape and Gigondas. Ten years on, the estate has grown, and by paying careful attention to my vines, was certified Organic in 2014. I have long dreamt of creating a white wine: the first Roussane were planted in 2017, however, following extreme weather (coulure and drought) the 2017 harvest was exceptionally poor. It means I don’t have the necessary funds to finish the project. I need 30,000 €, of which 10,000 € will be used to finish planting the vines. With your help, I hope to produce a Vacqueyras Blanc to compliment the reds we already make. 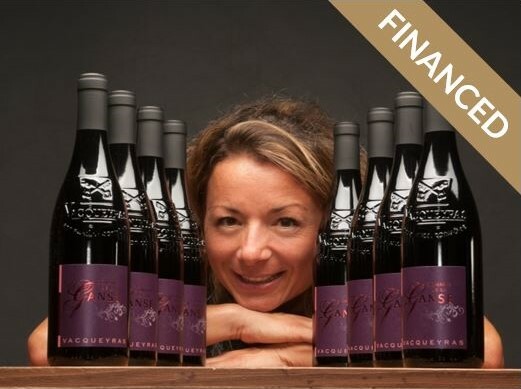 You then recoup your original investment in wine over four years delivered straight to your door, depending on the plan you choose. You can choose from one of the following plans. All the plans are reimbursed over 4 years. Coralie Onde offers several different wine plans to help fund her new white cuvée; you can choose to receive only the main wine or a mixture with the “L'Affirmé” from Domaine de La Ganse. You will receive the first wines at the end of the crowdfunding campaign in 2018 regardless of your plan. For the first three years, only the red wine from Domaine de La Ganse will be used to reimburse the backers this is because the Vacqueyras blanc will not be available before the summer of 2021. However, the fourth and final instalment will come in a mixt case of red and the all new white wine. (You can if you want, receive only red during the four years, all you need to do is send us an email). You will be some of the first to receive and taste the all new white wine! 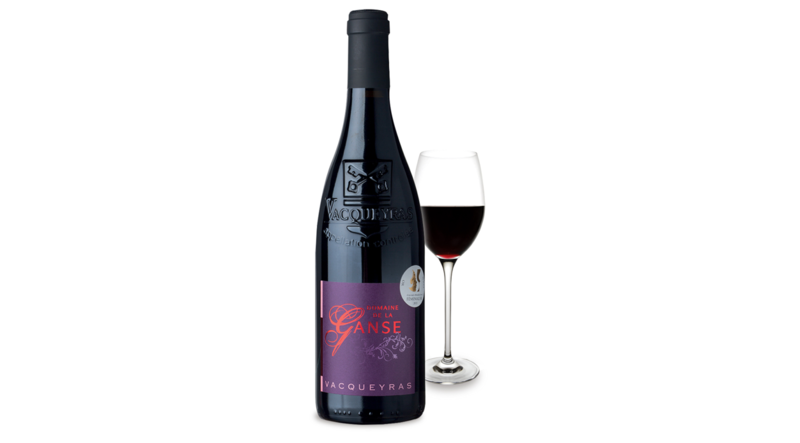 If you only want to receive the La Ganse rouge, you can choose from one or several of the following three plans offering 3,6 or 12 bottles a year. You receive a special price and you save 53€, 85€ and 170€ respectively with the 3 formulas when compared to the price on the shelf and the cost of shipping to mainland France. 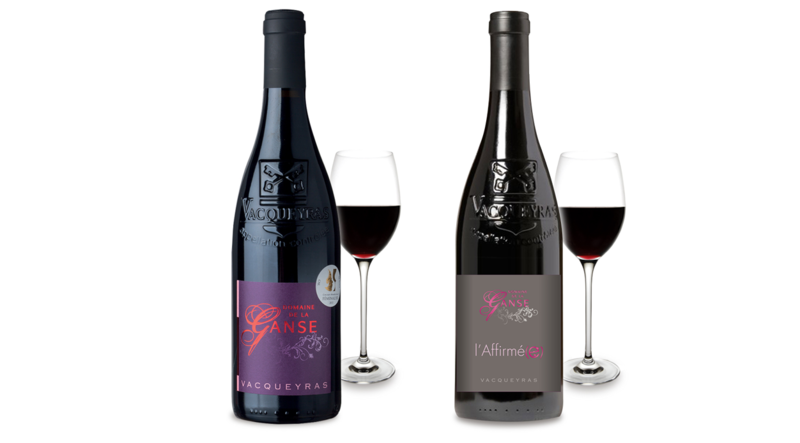 If you want to discover the other wine from Domaine de La Ganse, “L’Affirmée”, you can choose from one or several of the following three plans offering 3,6 or 12 bottles a year. You receive a special price and you save 57€, 84€ and 167€ respectively with the 3 formulas when compared to the price on the shelf and the cost of shipping to mainland France. With each plan you receive a case of wine composed entirely of red wine for the first three years and a mixt case with white wine in the fourth and final year. The original objective of 30 000€ is the estate’s total needs, however this project can be successful with only 10 000€ and the rest will be raised through traditional ,methods. Corsica, United Kingdom, Belgium, Netherlands, Luxembourg, Germany, Italy, Spain, Austria, Portugal. Denmark, Finland, Greece, Ireland, Sweden. Cost of shipping 12 bottles for 4 years Corsica, United Kingdom, Belgium, Netherlands, Luxembourg, Germany, Italy, Spain, Austria, Portugal. Collègue de Vincent, je trouve votre initiative excellente. UNE PETITE AIDE POUR PARTAGER UNE PASSION. bravo Coralie pour ce beau projet, je te souhaite pleine réussite et attends avec impatience de déguster ton blanc!